Turning The Ship: The Voyage To Becoming A Great Teacher | So You Want To Teach? Lemme start out by encouraging you to hang in there! I am going to answer this basically as to how I turned my classes around after spring break during my second year. The first thing that I would recommend is to completely reevaluate your role in the classroom.You are no longer simply the teacher. You are the classroom dictator. 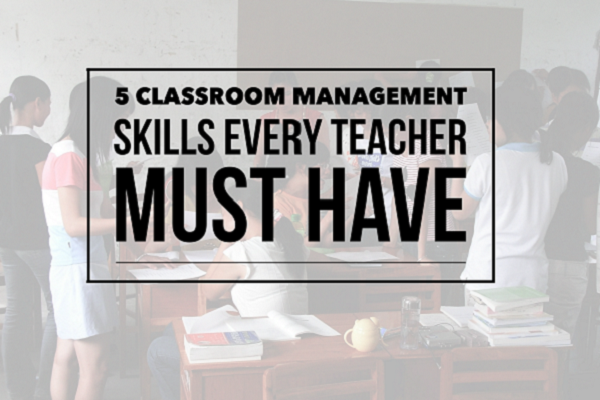 You need to be in control of everything that happens in the classroom. Both the good and the bad. If a pencil is thrown across the room, it is YOUR FAULT. If a kid turns in her homework on time, it is your fault! If you don’t take the responsibility for the actions, you won’t begin to fix stuff very quickly. You have rules established in your classroom, but they are not followed. Get rid of those rules. They are either too specific, or they are unenforced.From there, clarify the consequences. You screw up, you will sign a notebook. You sign the notebook, mommy gets a call. You screw up again, mommy gets called in the middle of class and the student has to explain that he has detention after school that day. I would avoid having them explain the situation because they tend to get emotional and blame the teacher for their misbehavior. I often will confirm with the parent that the student is a great person, but they made a choice to misbehave today and it is unfair to the other students when (s)he misbehaves and keeps them from learning. Document the phone calls in some sort of notebook or notepad. I have known teachers who use candy as rewards and others who don’t. I have done both, actually. I think right now, you are in the position when you need to change what you’re doing! So I would bail on the candy. Not entirely, but for a little while. Set up some sort of contingency plan that every time a person can go 5 consecutive days without signing the notebook, they get 5 pieces of candy. If the whole class can go 5 consecutive days without a problem, the whole class can have a movie party after school. Then move it up to 10 days. Then 20. Then the school year will be over, you’ll have had 3 parties, and 35 solid days of teaching with no interruptions. Remind them of the consequences. Another option to the 5 consecutive days thing that works well with younger kids, would be a jar and marbles. Each day there are no problems, you add a handful of marbles. When it’s full, it’s party time.It could be each time a student goes 5 consecutive days (or one day!!!) without getting trouble, they can put a handful in. It works great with younger kids because they have smaller hands and love the visual element! The class didn’t get out of hand overnight, and it won’t get under control overnight. They will first fight you. Some of the kids will love it. Others will hate it. Ultimately, they will all be proud of the work that they are able to get done as a result of the fixes you implement. Younger kids respond to these kinds of restrictions much better than middle school kids do. Again, hang in there! I don’t think the light at the end of the tunnel is an oncoming train after all! Arguing Is Normal, isn�t It? Though I’m not a teacher, I do like the answer to the reader’s question. Sometimes it is good for a teacher so start their duty in one direction, but run the class in a different direction as the year progress. With this said, maybe the students won’t get too settle and probably know the daily routine, but expect a change and make things differently in the classrom. Currently, I am a grad student getting my Masters in Ed. It is also change in career for me. Although I have not yet any experience in the classroom, I have experience in managing a staff in the business world. I do believe that removing the candy right is correct decision. Children would need to understand good behavior is expected through positive reinforcement and not being rewarded for not misbehaving. However, I wonder if changing the rules in the classroom so late in the school year would be in any way effective. The student have been trained for better or for worse using the old rules and the old system. Would they actually follow through with the new rules? I thought the same thing. But I now know from experience that yes, yes they will follow the new rules. If the consequences for violating those rules are clearly and explicitly stated and reinforced, with a possible window of grace for people to forget, the majority of the kids will catch on really quickly. Honestly, my experience with doing this only involved 6th – 8th grade students, but 5th graders at this point in the school year are close enough that it should work out. Good suggestions. Might have to use these myself. I do not think it is necessarily important what the teacher’s rules end up being, as long as they are 1) few and 2) enforceable. 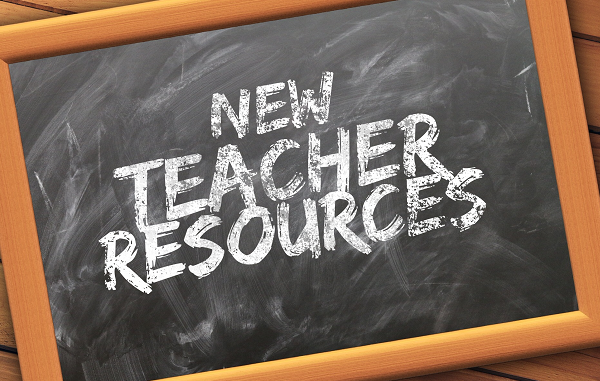 I like the suggestion you made, but for a newer teacher, that much discretion might be overwhelming. I like the crockpot analogy. My best way to give positive reinforcement to my students is to get them by surprise. I use “impact” reinforcements. Today I walked in the class with a bowl of water…and I talked about how pure water make us feel and asked for some volunteers to taste it. Then, I showed a test tube with a yellow stuff in it and made them guess what it could be, and they quickly concluded ..urine….I made sure everyone unserstood it was my dog’s urine. Next, I ask for some volunteers to taste it…and there were no volunteers. Then, I added only one drop of urine into the bowl and I dare them to drink it…again no one wanted to taste it. With this quick demonstration I made an anology with their behavior in class. How a single negative comment can contaminate a class. It took 10 minutes and the impact was there….no I didn’t really use my dog’s urine…to get other ideas like this one you must read Techniques d’impact by Danie Beaulieu, Ph.d..
Now is a great time to introduce those 2 rules and tighten up on classroom behavior. It is especially timely because my dear 2nd graders are coming to learn how to be 3rd graders. They are angelic, and I do not want to tolerate the SLIGHTEST misbehavior if anyone tries. And oh, they will try me tomorrow! I’ve gotta be firm, and NOT the fun me I know I am :) It’s time to work.